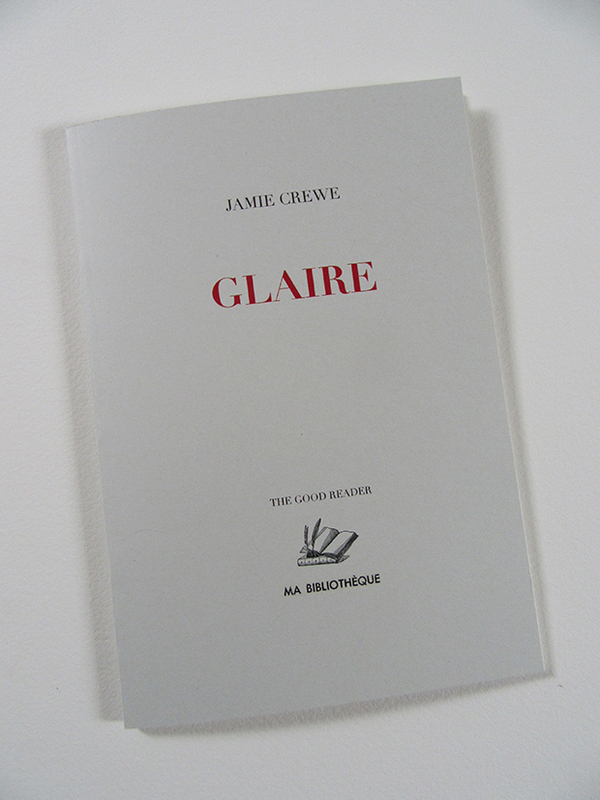 Glaire is a text from Jamie Crewe’s performance Potash Lesson (2016), and a new drawing, originally presented in a work aligning Victorian treatments of hysterical women with contemporary expressions of transgender femininity. Glaire contains two theatrical scenes from Une leçon à la Salpêtrière (1908), written by André de Lorde for the Grand Guignol theatre, Paris. A printed edition of the play, which describes a gory scenario of disease, abuse, and revenge in the Pitié-Salpêtrière hospital, has been digitally scanned through OCR (optical character recognition), then translated using Google Translate. Words are fractured through the automatic peculiarities of OCR, and distorted through automatic translation from French to English. Phrasing, form, and gender are warped. 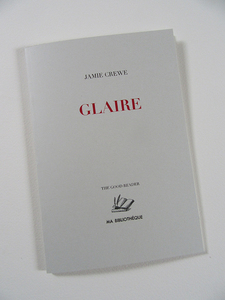 Claire, the injured and vengeful young woman of de Lorde’s play, becomes a textual force with a constantly shifting name, misgendered, belittled, and pitied by doctors (and stage directions) who make no more sense than she. THE GOOD READER is a new series of booklets published by MA BIBLIOTHÈQUE. THE GOOD READER addresses reading, as both virtue and duty. The editor invites authors she considers to be good readers. She agrees with Nabokov that a good reader, a major reader, an active and creative reader, is a re-reader.